Every Ssheet with its thickness clearly on it, easy to select. also easy to return which your unused. 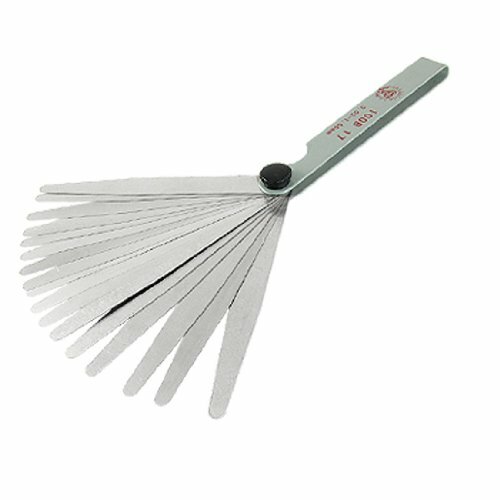 Great for Valve Shim use and metric gap measuring. Design with some lub oil to protect the feeler gauge.